Forty years after his death, Walt Disney still epitomizes what is right and wrong with American life, depending on who’s making the argument. Film historian Gabler (Life, the Movie, 1998, etc.) shrewdly observes, for instance, that though Disney was notoriously conservative—and casually anti-Semitic and racist—he also forged aspects of the 1960s counterculture’s identity: anti-authoritarianism, connection to nature, “antagonism toward the moneyed class.” Born with “platonic templates in his head,” in Gabler’s memorable formulation, Disney idealized rural life, his template being the little Missouri town in which his father perpetually failed. Walt enshrined that place as an American idyll and ideal in Disneyland, which the author rightly ranks high among the master’s dreams-turned-to-reality. He was like his father, Gabler notes, in never having any business sense; brother and long-suffering partner Roy had the head for commerce. Walt lived a rather bohemian life beholden to no boss and sparked great resentment among his own employees by presenting the Disney studio’s products to the world as if they were single-handedly his. “He’s a genius at using someone else’s genius,” one disgruntled animator griped. For all that, Gabler makes emphatically clear, Disney was indeed a genius at his art: brilliant at drawing, writing and particularly editing, willing to exceed budgets time and again until an animation or a movie was exactly right. Thus Snow White, the 1937 film that put him on the map, was very nearly the Heaven’s Gate of its time in terms of cost overruns, yet once released it would become the highest-grossing film in history and hold that record for many years. 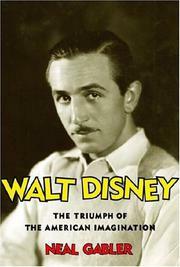 Gabler’s remarkable biography lends Mickey’s creator new dimensions and sets the standard for future biographies.